You know that “V” in diversity? Video is the voice of any new generation that is ferociously knocking on doors, breaking and entering into the workforce. Diversity in the workplace is a common topic of discussion within public and private organizations, talks between coworkers, and is blasted across the internet regardless of a publication’s stance on hiring practices at major enterprises. Due to its trending status and surging popularity, the act of diversifying one’s company has become more of a “must do” than a “nice to have” for both ethical and business reasons. The truth is, diversity is not just about gender, age, ethnicity, disability, or sexual preference. 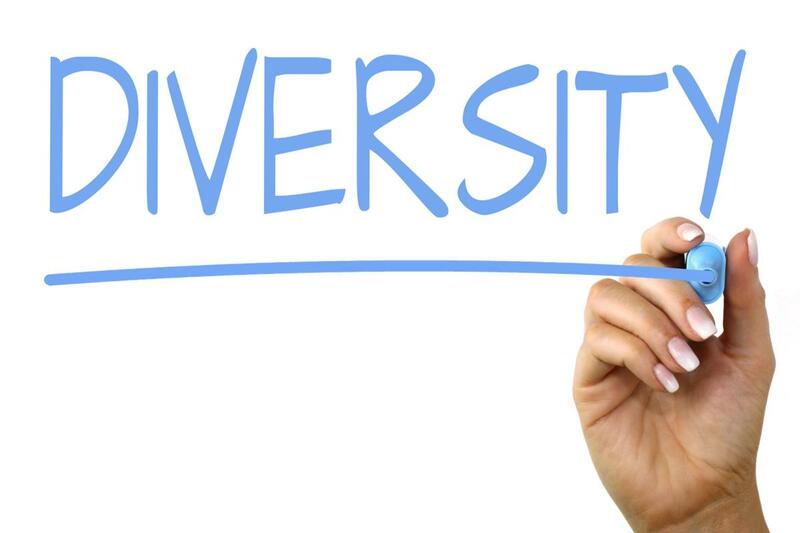 Diversity involves offering the same career opportunities and access to each employee, or potential hire, regardless of their geographical location or whether they are working from home or from a central office. It’s also about providing each employee with same opportunity to be heard and voice their opinions regardless of rank or position. Making all employees feel comfortable in the workplace is key, and encouraging them to share their ideas in an open and inclusive environment is essential to truly diverse environment. Companies like Gap Inc. and L’Oreal, who have chosen to embrace diversity, are now perceived as more progressive and will continue to attract a wider range of candidates during their growth cycles. The same can happen for your company, as embracing diversity will likely increase the amount of candidates willing to work for you. According to a 2014 Glassdoor survey, “67% of active and passive job seekers said that a diverse workforce is an important factor when evaluating companies and job offers.” Individuals who come from diverse backgrounds can offer a selection of unique and different talents, skills, and experiences that could be of colossal benefit to their employer and work performance, not to mention the organization as a whole. Diversity, without a single doubt, drives innovation. But how? By creating a team of various different backgrounds, experiences, and working styles, creative concepts can be born from brainstorming and bouncing ideas off of each other, igniting feedback and suggestions across the conference room. That “V” in diversity, the one that pulls the whole concept together and makes it as effective in-house as it is, stands for video. If you want to power up and boost diversity in your organization, you absolutely must consider your video strategy and how you can improve or evolve it over time. Video is the voice of any new generation that is ferociously knocking on doors, breaking and entering into the workforce. Millennials, GenZ, and the inbetweener crowd known as the Xennials, are relying on video to teach them and instill within them newfound knowledge, aside from just the standard communication and entertainment tools they utilize it for now. Video strategy is how your diverse employees will learn and remain loyal to your organization long term. Within the organization, video is increasingly becoming the strongest method for democratizing the workplace as it enables everyone to have and actively use their voice: be it for learning, communication, or entertainment purposes referenced earlier. They say absence makes the heart grow fonder, but it doesn’t fair that well for teamwork: unless technology is involved. Video creates a sense of personal connection between coworkers and management, even from afar. Running a video call or a live event that places team members visually in front of one another, even if it is digitally, allows them to speak up in a familiar environment that is convenient and comfortable for them. As a result, this will maintain a sense of personal and intimate connection as a collective. Taking advantage of video and implementing it as a core communication strategy allows face-to-face communication to remain an option (and a valuable one at that! ), while giving everyone a seat at the metaphorical table, regardless of their physical location, whether they work from home of from the corporate office – ensuring that every employee feels and recognizes that they’re a part of something bigger and more important than they may have realized initially. Domestic and international travel has become a core component of any leadership position today. CEOs, CTOs, founders, and VPs – you name it! They’re off traveling the globe networking, speaking at events, inking partnership agreements, and sealing the deal with much sought-after investors. This is where video steps in, yet again proving itself as a huge aid for authentic leadership. It’s a critical tool for building personal relationships with employees at scale, especially those employees who work remotely and will most likely never get the chance to meet you in person. Be a leader of the people, one that makes an effort to communicate and teach even from a distance. This will pay off in the long run and allow you to keep your staff, and, in return, make the workplace more diverse. Want to have a hand in institutionalizing knowledge? Be the greatest influencer you can and democratize learning and gaining expertise with the perfect video tool. There is a plethora of effective, simple video tools available currently that anyone can use to create and share the content of their choice. With video, those who want to take some initiative around the office can present learning modules to be forwarded amongst teams or individual members. They can also create aesthetically pleasing ‘how-to’ tutorials, or make announcements and release company-wide memos. Any employee, regardless of their rank or position, can take pride in their created and shared contributions to the work environment around them, while improving practices with their peers and managers. Public speaking is frightening! Okay, maybe not for everyone – but to some, speaking in front of a group or large audience can be incredibly uncomfortable. This fear is only compounded when management wants to attend to the talk or presentation you’re about to give to your coworkers. For this reason, a lot of solid, smart ideas go unheard of by vital employees who contribute to your organization. Video is a fantastic solution for anyone who struggles with stage fright or just simply doesn’t enjoy being the center of attention. For anyone looking to present or teach from a distance, they can record a speech on video, and then send it over to whomever is relevant. Another great public speaking avenue that is gaining traction within the hitech space is to run a virtual event or a webinar where you don’t have to stand directly in front of an audience – or in person, at all! Diversity is all about expanding your efforts to be inclusive, even geographically. Video does more than just allow you to keep connected when you need to have an emergency meeting on strategy, or when an employee is out of office and has requested your immediate attention. Video caters to a group of people who come from different places, have different personalities, endure their own limitations, and abide by a unique work ethic depending on past employment experiences. By expanding your range of candidates or potential hires to those who work remotely, you’re already embracing diversity. Allow video to take you that extra step further and cater to all of these employees’ needs, and allow you not to worry about whether or not they can engage, interact, or feel comfortable as a member of your organization. Dana Poleg is Vice President of Marketing at Kaltura, where she has been instrumental in revolutionizing the way the company targets potential customers as well as greatly expanding the company’s global reach. Before arriving at Kaltura, she served as head of Global Demand Generation at the NASDAQ-traded Big Data software company NICE. Previous marketing roles have included portfolio marketing, product marketing, and strategic marketing at Siemens, Comverse, and McCann Ericsson. She holds an MBA from the University of Jerusalem in marketing and finance. Passionate about marketing for sales, Dana believes that marketing should be an integral, driving part of the sales process.